Virtual caregiver nurse. Last month a startup launched with $35 million of funding to create a virtual caregiver nurse, targeting the labor shortage in private duty care. But way back in 2013, you could find a virtual coaching app for long-term caregivers, Virtual Healthcare Neighborhood for professionals in 2014. Since then, the concept of a virtual nurse and a virtual nurse caregiver assistant emerged. Virtual dementia tour. This is a training program developed by Second Wind Dreams that can help family and professional caregivers better understand what it is like to have dementia. It is now offered in senior living communities for families of residents with Alzheimer’s, as well as in home care. Virtual reality for seniors. Made visible, so to speak, by two MIT graduate students, it caught media attention. 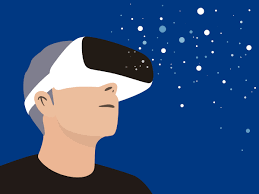 Now there are training programs, VR initiatives for pain management, remote diagnostics, and more VR headset vendors. Most recently and perhaps not surprising, the VR buzz has faded at CES 2019. And this technology is still device dependent, but continues to gain some media interest as an engaging experience for seniors as well as a new use in training caregivers. Virtual senior living. Attempting to bridge the gap between living at home and in a senior living community, CCRCs like Life Enriching Communities offer coordinated services for seniors still at home for a small fee -- these services are sometimes referred to as 'virtual' -- thinking back to the Evangelical Homes of Michigan, which pioneered the concept of offering services in the community outside the brick-and-mortar facilities. Also called virtual retirement communities, this concept also morphed into virtual villages and became the so-called village movement, now part of the Village to Village Network. Virtual senior center. The Senior Center without Walls was one of the early (2004) programs for seniors who could not leave their homes but could participate by telephone. Today the Dorot University without Walls offers a 10-page catalog of courses and the Senior Center without Walls program spans 38 states. The Virtual Senior Center (or VSC) was started in New York in 2010 when Selfhelp and Microsoft introduced video technology for homebound seniors to meet online with other seniors and participate in tech-enabled activities. The program was piloted in San Diego and Chicago, and studied for its positive impact by LeadingAge CAST.